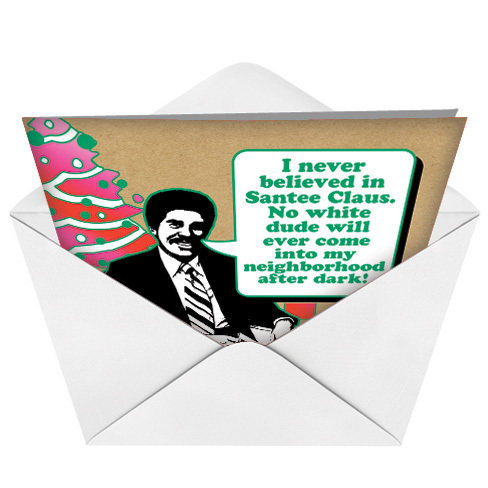 You Don't Have To Be A '70S Dude To Find This Nobleworks Card Funny! You need to send this funny NobleWorks card to someone that may live in the same kind a neighborhood as this man. It'd be a downright shame if Santee Claus wouldn't bring any presents because of their neighborhood.